The Army Corps of Engineers have began studying the environmental impact of the $3.8 billion Dakota Access Pipeline crossing of Lake Oahe in North Dakota, but a federal judge could stop that effort. The notice was posted on the Army Corps’ website on Wednesday. It invites anyone interested “to help identify potential issues, concerns, and reasonable alternatives” that should be considered in an environmental impact statement (EIS). The period for public comment ends on February 20, 2017. The Texas-based developer of the pipeline, Energy Transfer Partners (ETP), is barred from working on the pipeline under Lake Oahe, while the study is being conducted. Lake Oahe is the water source for the Standing Rock Sioux tribe. Construction of the pipeline was stopped in December after the Army refused to grant an easement permit. On the same day the Army Corps’ notice was posted, ETP was in federal court for a hearing about their request for a temporary restraining order to block notice about the study. 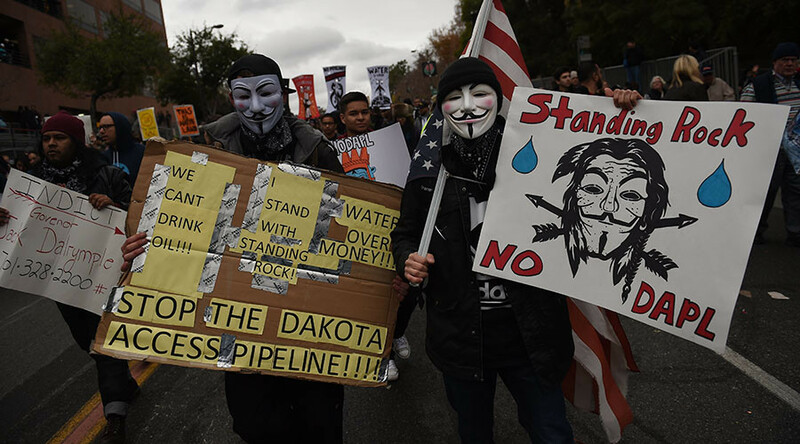 The tribe and water protectors believe the four-state pipeline threatens drinking water and cultural sites. Developers argue there are seven pipelines that already cross Lake Oahe and the new pipeline will be safe. The pipeline under Lake Oahe is the final stretch of the 1,200-mile project.